Last week, we shared a game called 3-Ball, today we are introducing another baseball themed game, entitled Swing Batter Batter Swing. If you know the rules of baseball, you’ll be able to put this game together in just a few minutes. Start by setting up a softball or baseball size diamond (I recommend softball size, but you may want to enlarge the diamond if your group is really athletic). If you don’t have a diamond available, use paper plates or flat rubber base pads from the Dollar Store to set up a field. You can play this game indoors, just make sure you have enough space to navigate around. When you are finished setting everything up, divide the group into two equal teams. One team will be on offense and one on defense. Select one person to be the “pitcher” for both teams. This allows everyone to have a fair shot to actually hit. At this point, you will play the game just like a regular game of softball or baseball, the only difference is that you’re pitching marshmallows instead! I generally play three inning games with the first two innings capping at a 7-run maximum, and the last inning being unlimited. 1. If you are running the games at a camp or retreat, you can easily bracket this game into a tournament style by creating 4 or 8 team brackets. It helps to have multiple areas to play if you decide to do this, so keep in mind the time it will take to complete the tournament. 2. I suggest having several bags of marshmallows per game. While you can certainly reuse them, they tend to get pretty disgusting after a few run ins with dirt and/or a bat. 3. 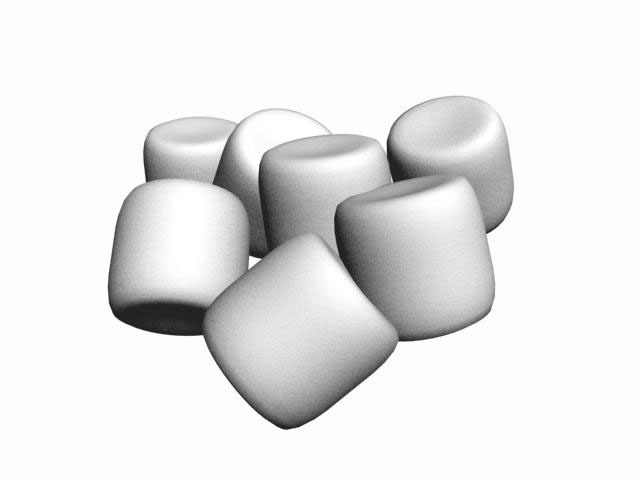 To spice things up a bit, add a super marshmallow into the mix (an extra large size) and make it worth more 2x the runs as a normal marshmallow. Let each team call for the super size marshmallow once per game (you can pitch it more than once, but only to one batter during one plate appearance). For example, if you have the bases loaded in the last inning, you could theoretically score 8 runs on a grand slam from the batter. 4. Award a trophy made out of marshmallows to the winning team and announce it in front of everyone.